Hi, it's been a long time to update this web-blog. Actually I've been busy for my life, so I have no time to check this web-log. Why I wrote this message this time, it because of my announcement for new website about Cebu spots, local restaurants, hotel, tour around Cebu and my work. If you wanna know what I did, please visit my new it, even it's all written by Japanese. You can find out something through it. 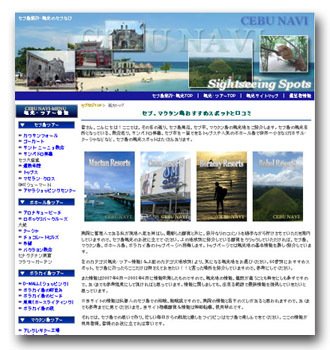 セブ島旅行・観光のセブなび　means Cebu travel&sightseeing of Cebu Navi. Everything in Japanese but, you can feel something through some of my precious photos. After moving to my website, you just select some words with colored which takes you to another page of my Cebu's experiences. You can see beautiful photos, it means you don't need some ability to read Japanese. Love & Peace for everyone. Location : Sumilon Island, Bancogon, Oslob, Cebu, Philippines. 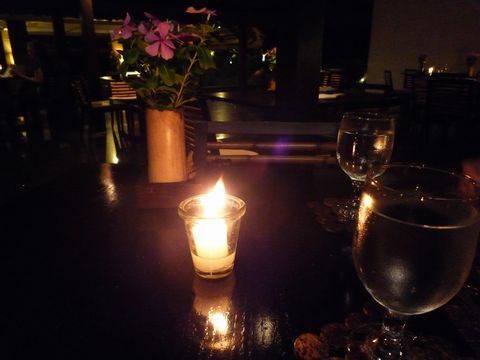 This is about inside Sumilon Island's Restaurant where is the only one place to have something to eat, so I can recommend you to bring some snacks and instant noodle against from my experience. You'll konw what I wanna say after reading this topic. 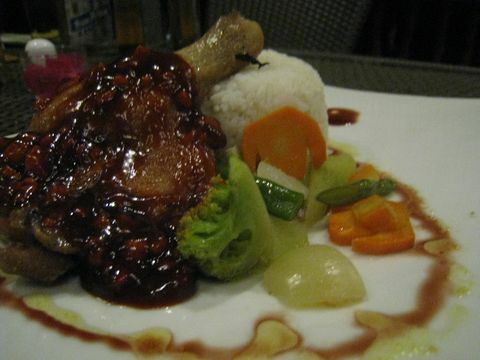 This is Grilled Chicken which is just ok for me,so I can recommend you to order this food for your dinner. 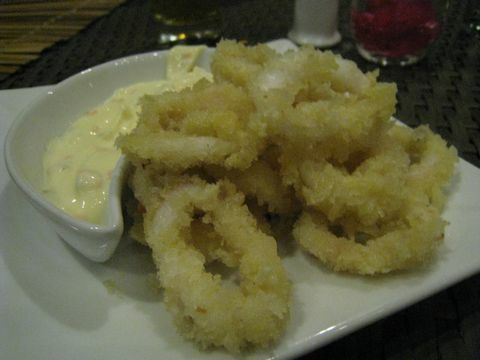 This is Calamares which is really common food here in Cebu. I always order this cuisine, but it was too much oil when I had it inside Sumilon Restaurant....I'd prefer to eat this kind of fried something as a not too much oil with sour sauce. 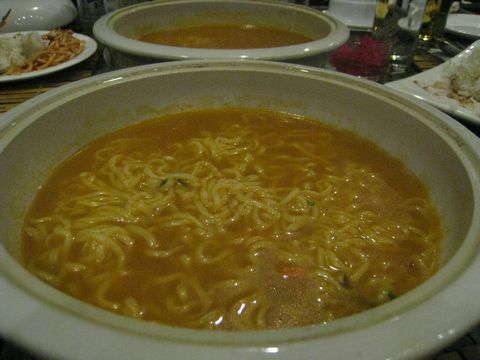 This is Shin noodle which is from Korea, it's so hot and spicy noodle. Korean love to eat it. 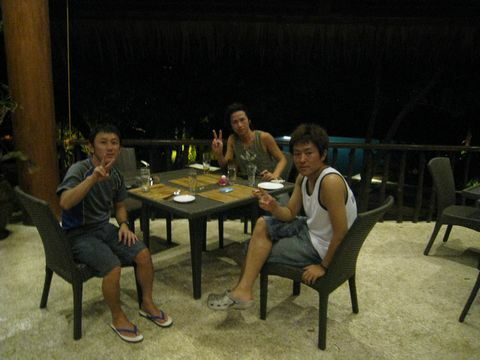 When we visited here in Sumilon Island, my friend met his friend from Korea, so we were recieved from her"Shin noodle". You can ask Sumilon's staff to cook instant noodle, but you need to pay for it. Inside the restaurant which has billiards table, so you can play with your friend for free, but it was hard to roll the ball...it because of mat...just try this game, so you'll understand my claim hahaha. We took this picture before our dinner, it'll bring back for us how nice to had good time here in Smilon Island. 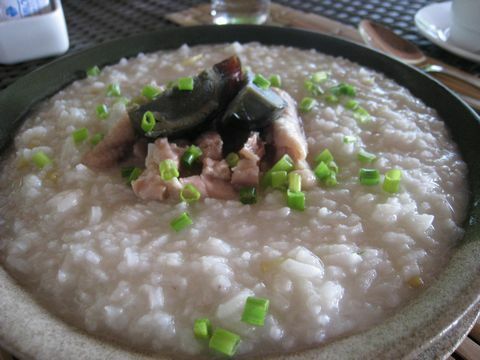 This is about Breackfast"Rice Porridge", so you don't need to pay for it which is already included with Hotel payment. It's good for you to have it, if you had hangover hehehe. 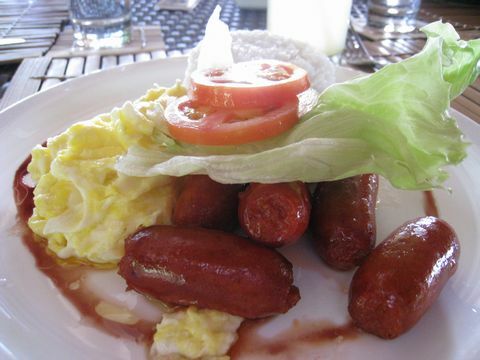 Of course you'll order another food from Breakfast list. If you order Sandwich Menu, you'll have this as a side menu. 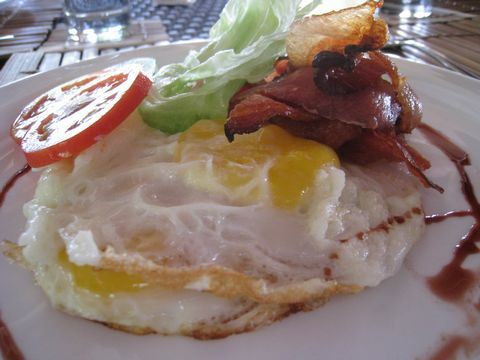 I orered this American Sandwich for my breakfast, so it's the good way to combine with bread,bacon, egg and fresh sarad. 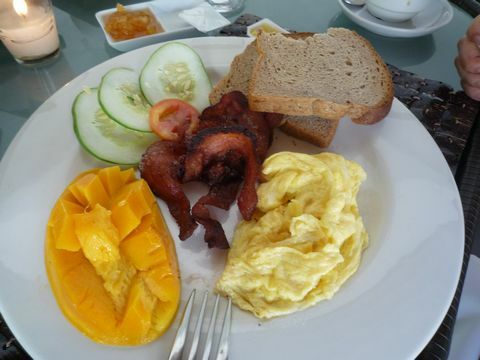 This one is also same Breakfast menu, you can choose from same list. 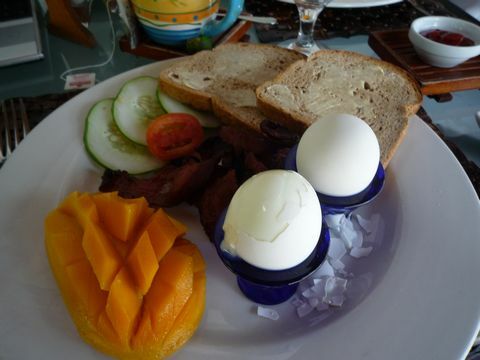 Before having breakfast we explored inside Sumilon Islan, we had trekking around Sumilon then we had breakfast. After our breakfast we had diving with local staff, so I'll show you my precious experiences later. I love diving so much as a result, I was satisfied with under the water around Sumilon Island which is really great place to encounter sea creatures, colorfull coral, fish and visivle water. Advices & Comment: When we had dinner inside restauratn, most of cuisine were out of order, so I can recommend you to bring some snaks and instant noodle agains from my experience. Cebu is the best place to find something new! It's been starting Sinulog Festival 2009. If you wanna know about it, please check it out through "Sinulog Festival 2009". After going up steep road, you'll arrive this place.Sumilon's staff give you welcome necklace and tell you how to use their facilities. We booked a room as a Delux and asked them to prepare extra bed. We were satisfied with their facility. 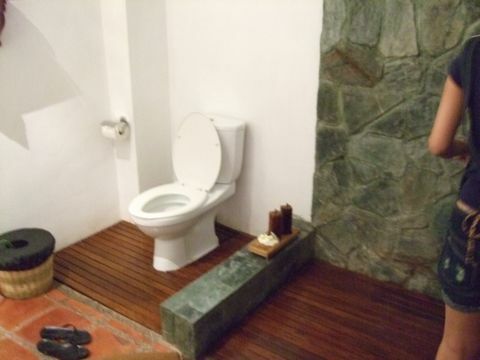 In side the room has Private toilet and shower with hot running water, Mini bar, Ceiling Fan, Air conditioning unit,Writing desk and dresser,Room to Room telephone and TV. 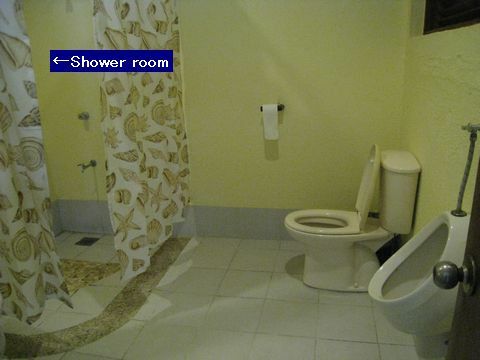 This is about Private toilet and shower with hot running water. 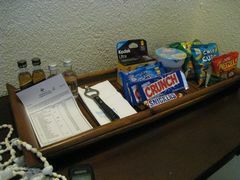 This is about Mini bar. 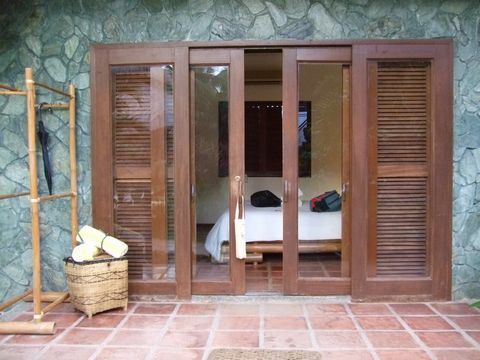 Out side the room has Private veranda with lounge chair, so you'll relax at this place. After checking in, we started to explore around Sumilon Island. This swimming pool is located near Sumilon's Restaurant, so you can see amazing view from the pool. 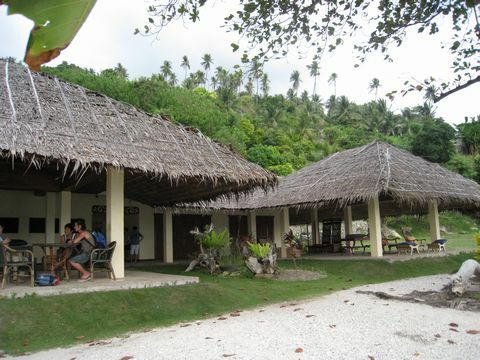 This place where you can order beer and drinks inside Sumilon Island. We enjoyed drinking SMB hehehe. This place where you can dine inside Sumilon Island.Inside this place you're able to play billiards and to buy some souvenir if you like. Next day we asked them to have scuba diving after breakfast. 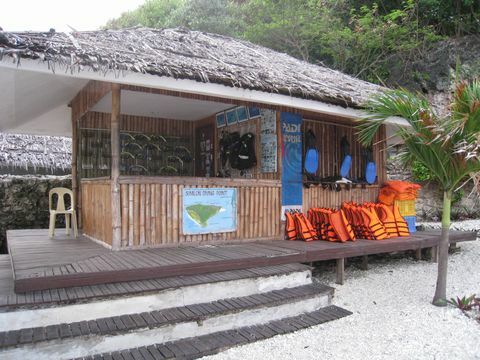 Sumilon Island has many famous spots to dive. 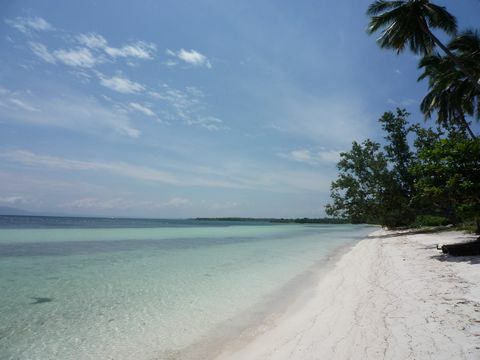 It takes only 5 or 10 minutes for diving, as a result many divers love around Sumilon Island for it. Inside Sumilon Island has lagoon where you're able to borrow small boat to row. Sumilon's services and facilyties will make you happy, so I can recommend you to visit this place. In front of this place where you can enjoy snorkeling, but you need to care snorkeling spots, it depends on the time, so you need to ask Sumilon's staff where is good for snorkeling against from trouble. 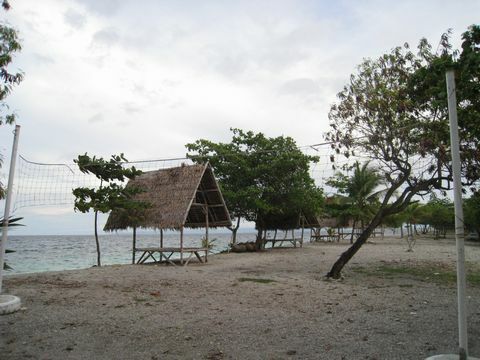 This Island "Sumilon Island" is quite far from center of Cebu City, so it takes a long but don't worry about that. 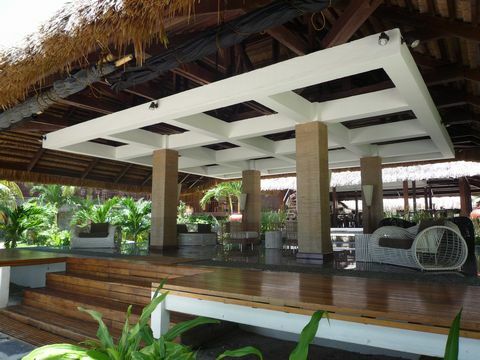 Sumilon's give you healing space and you'll enjoy your time. I'll show you about Sumilon Iskand later. This place where you can relax inside this building. 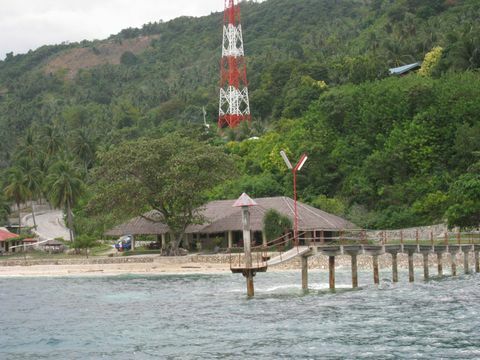 If you already booked a room in Sumilon, you don't need to pay for transportation fee to go to Sumilon Island. 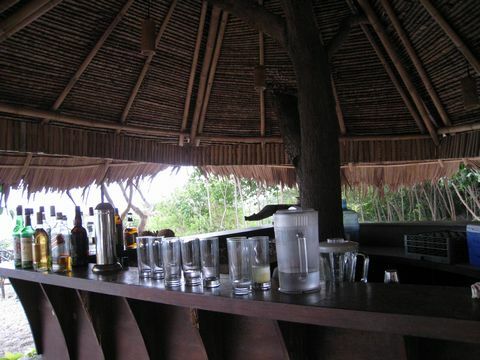 Before leaving for Sumilon Island, you can drink at this place as a free. There is a beach in front of this building, but it's hard to swim because of rough seas. When you came here, you need to pay for Terminal fee which is 10 pesos. 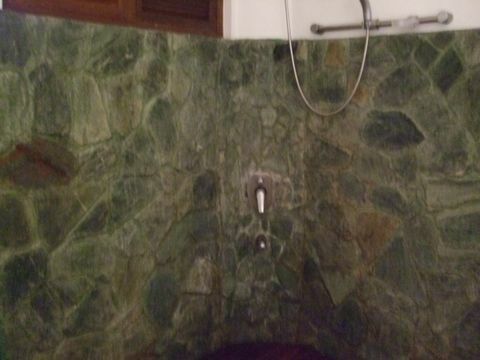 There is bathroom where you can take a shower, so it's good to take a shower after snorkeling. 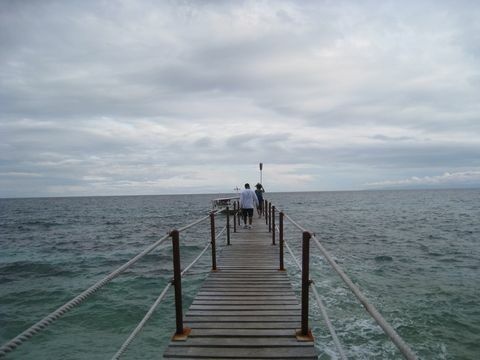 This picture is about Pier where you need to use this bridge to get on a boat from Sumilon Island. Please be careful not to drop your bags and valuables. 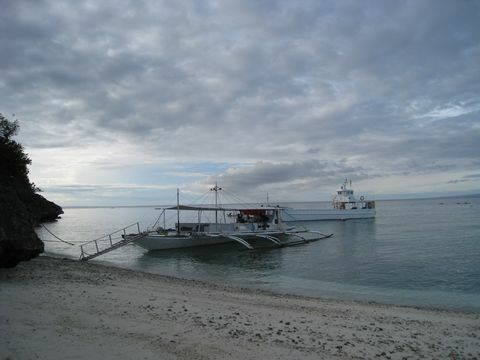 When you leave for Sumilon Island, it takes only 15 minutes. By the way I give you some advice when you're heading for Sumilon, you should care digital devices from wave. 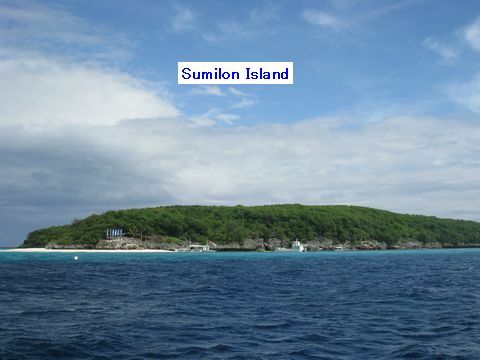 I knew this place "Sumilon Island" thanks to my friend's friend who recommend us to visit Sumilon. Sumilon Island is well known by Korean, but not so famous amoung Japanese. Now I already konw this island, so I hope it'll be famous soon. After 15 minutes, you'll arrive at Sumilon Island. 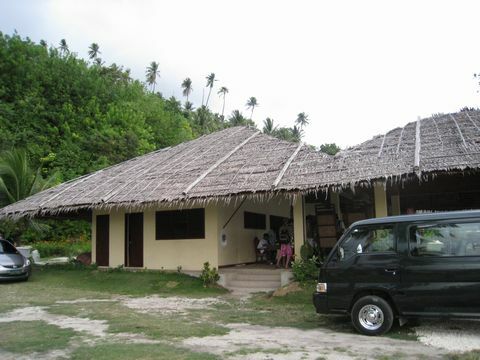 There is only one Hotel "Sumilon Bluewater Island Resort" inside Sumilon Island. 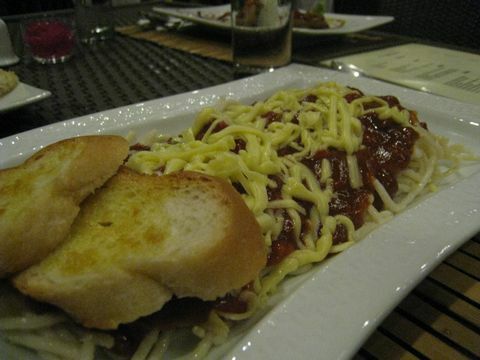 I'm sure you'll be satisfied with everything here in Sumilon. 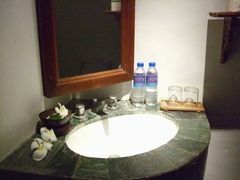 After arriving here, you need to go up stairs to the hotel and it's a little bit hard to go up because fo steep road. Sumilon Bluewater Island Resort is located on tranquil Sumilon Island. 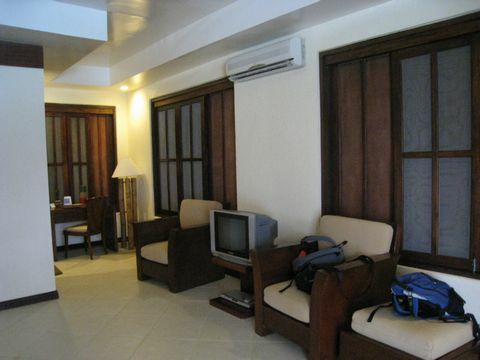 It is 125 kilometers from Cebu City and is in close proximity to Dumaguete. 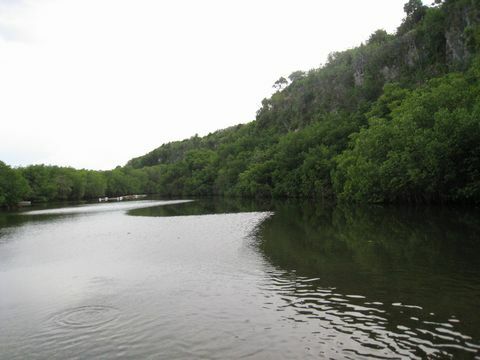 The island has an area of 24 hectares and is surrounded by crystal clear waters with varying aquamarine hues. Location : Alona Beach Panglao Island Bohol, Philippines. 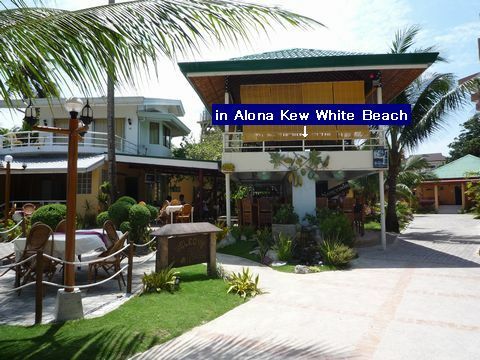 This is about Alona Kew White Beach which is really famous for tourist from everywhere! 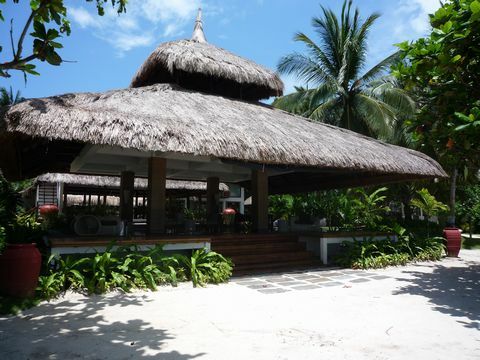 !After staying at Ananyana Hotel, we visited Alona Kew White Beach for lunch and spending our time. 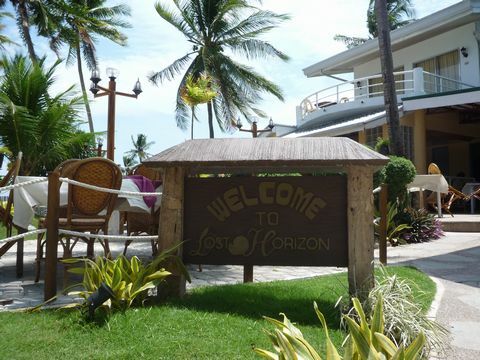 We dined at this restaurant which is owned by "LOST HORIZON". It was sunny day that day, so I enjoyed drinking SMB for quenching thirsty. 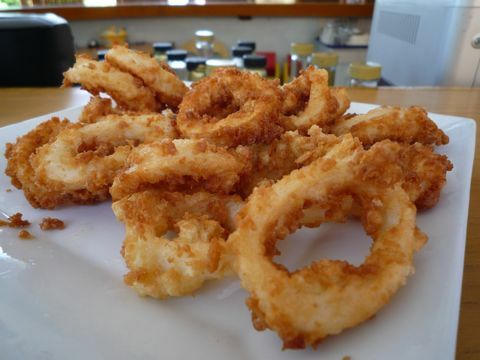 This is famous Philippines Cuisine "Calamares". I love eating this food "Calamares" with Delicious Beer SMB and RED HORSE hahaha. And I think it's common to order it amoung local people. 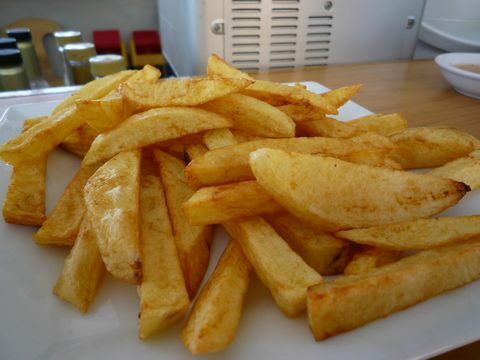 This is French Fries which is also delicious for me. I mean I love it without catchup becuse I can taste genuine falvor, so I'd prefer to eat it without catchup. 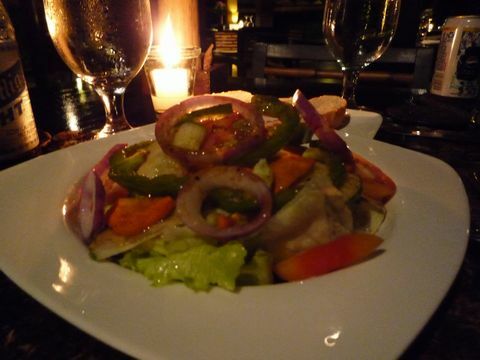 This is Salad which we need to order for our health, so I always have it for keeping my condition. You know what it's too important for our health to order healthy food like Salad!! She is a waitress at this restaurant. She was really friendly and enjoyed talking with her, as a result my partner felt something gerous because of what I talked with her hehehe, of course I've never stopped loving my partner. 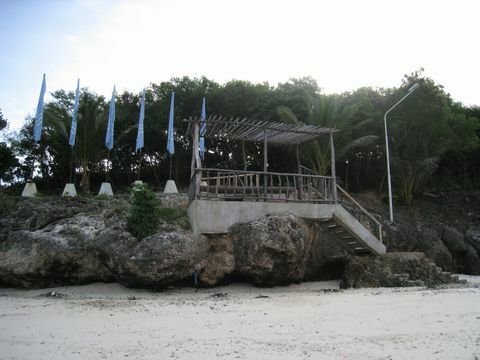 This location is infront of restaurant where is called "Alona Kew White Beach". When we visited white beach where was rough seas because of wind at this time, so we couldn't swim in the sea. Just relaxed at the beach until boarding time. Actually it was my third time to visit Bohol Island hahaha.. 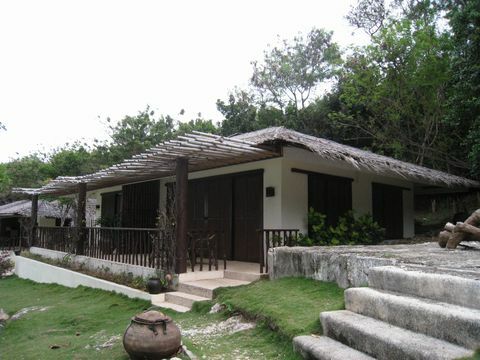 I mean Bohol is really good place to spend your time, so I can recomend you to come here for your vacation!! 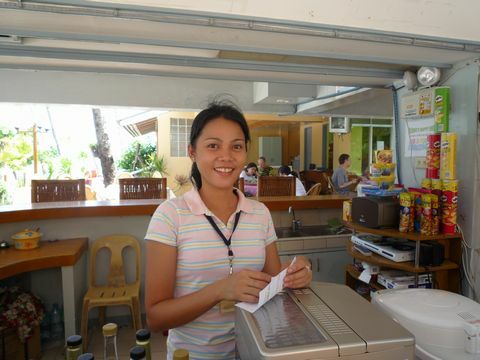 Ananyana, Facility & beach, Panglao Island (Bohol), Philippines. 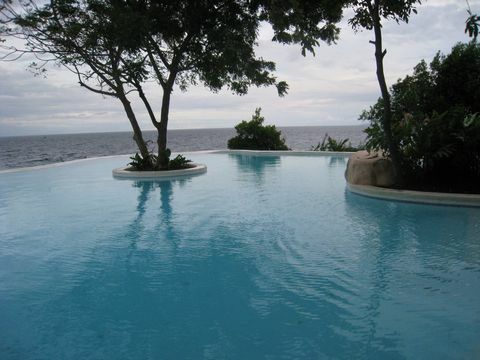 Location : Resort Ananyana, Panglao Island (Bohol), Philippines. This place where you can relax with comfortable breeze. Actually it's not so spacious, but it's good for you to spend your time around this lovely swimming pool with your family, friends, and lover. Of course I can recommend you to go to the beach. Here is the beach. I took this picture early mornig after breakfast, so it was cloudy at this time. I raomed around this beach with my partner and explored inside Ananyana's site for finding something new. Travel Panglao Island, Bohol, Philippines. 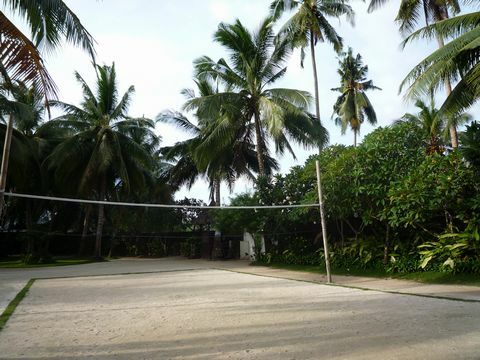 Inside Ananyana, there is beachvolley coat where you'll enjoy your time with your friends to play Volleyball, and just doing something hahaha. You can play this place for free if you're guest at Ananyana. 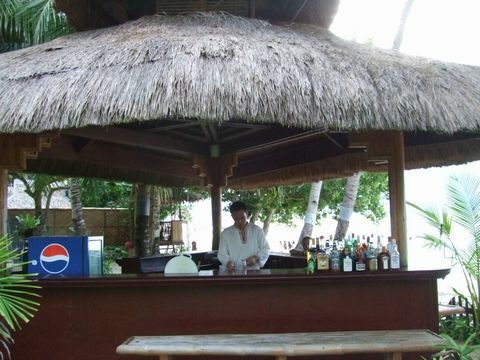 There is one bar where you can drink alcohol and softdrinks near by clear beach. I drank SMB with my partner with amzing sunset, so I can recommend you to use this place around that time, and I have a good news for you that this bar has happy hour, so you're able to drink alcohol as a reasonable prices. You need to check about happy hour time. I mean I forgot an exact time...hahaha, sorry. Oh the bartender is really friendly, so you'll enjoy the time with his talk!! Here is the swimming pool where has two kind of face between day-time and night-time, so you'll feel something different at this place. It's much better to spend your time with your partner when you visit here in Ananyana for vacation and honeymoon hahaha. That's great!! Wow what a sunny day today, The weather smiled for us hahaha I've been doing well, so it was sunny day. You know what!! It's really important to spend your time with beautiful weather, so you need to do something good all the time. As a result, you'll be satisfied with Power of God!! How amazing this picture, you know what! I still feel breeze from this picture what I did at this time with my partner. What do you think from this transparent beach, blue sky and white sands. I'm sure you'll enjoy your time at this place "Ananyana". 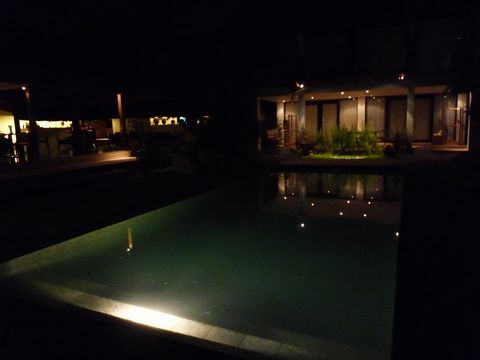 How great this place, I mean we really enjoyed our time with special ambience, weather and Ananyana's staff. I'm sure you'll be satisfied with everything, so it's much better for you to realx, spend, feel something great for your vacation. This precious experiences made us happy, so I really wanna go back to Ananyana for relaxing and spending my time with my best partner. 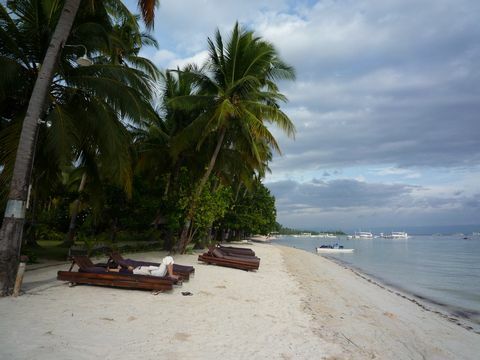 Panglao Island (Bohol), Traveling, Restarants, Philippines. Foods Ananyana,Panglao Island (Bohol), Traveling, Restarants, Philippines. 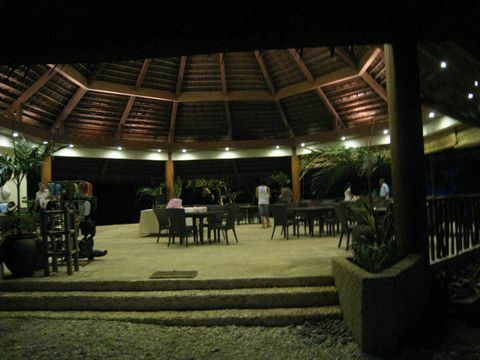 Location : Restaurant Ananyana, Panglao Island (Bohol), Philippines. This Restaurant is located inside ANANYANA which provides you delicious foods with amazing ambience, so you'll be satisfied with everything. I prefer to use this restaurant during night time than day time. When you come to this restaurant as a guest, Ananyana's staff take you to your table, so you just follow them toward your place. See, what do you think this kind of atmosphere where you'll relax and feel something from everything. After sitting, Ananyana's staff ask you for drinking first, then Ananyana's staff bring you a normal menu and special menu. You can choose which you wanna order. 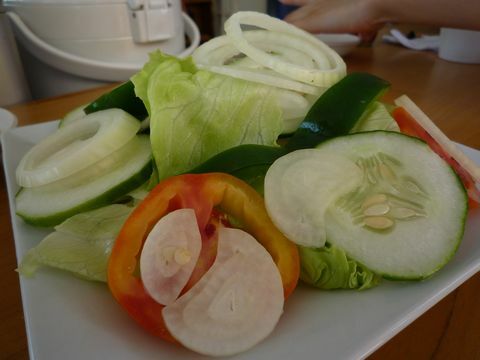 We ordered Ffresh Salad which is really good for your health, so I can recommend you to order it first for your health. hahaha. 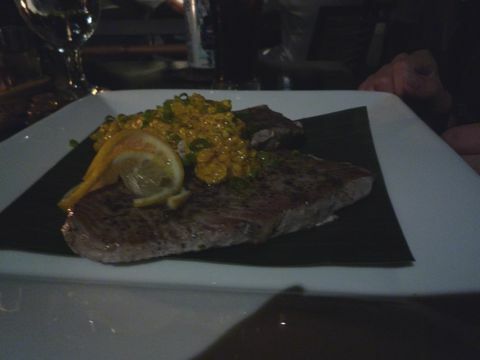 This is Tuna Steak which I can recommend you to order it because of delicious taste with mustard. I ordered it from special menu, so you're not able to have it because of that. 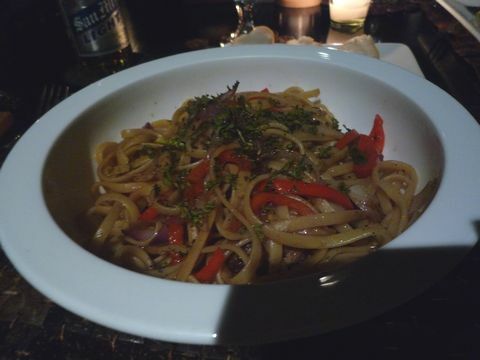 This Pasta was not so delicious for me because of sweet taste and also it's from special menu. It might be delicious for you, but not for me this time. 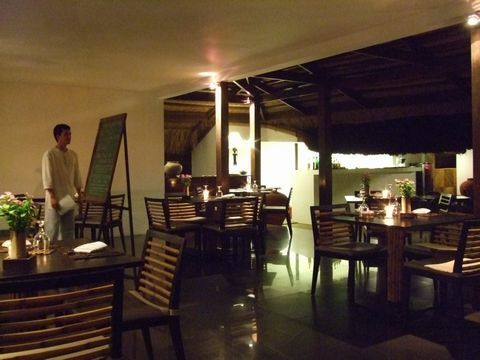 Of course ANANYANA Restaurant provides you delicious dish for you. 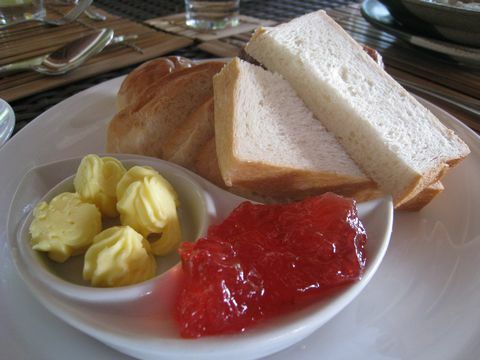 This is about Breakfast which you can choose among morning menu. I mean it' up to you what you want. 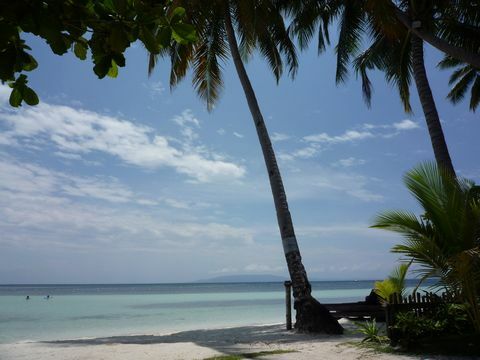 And after breakfast you can relax on the white sands under blue sky. This menu is also from moring menu. 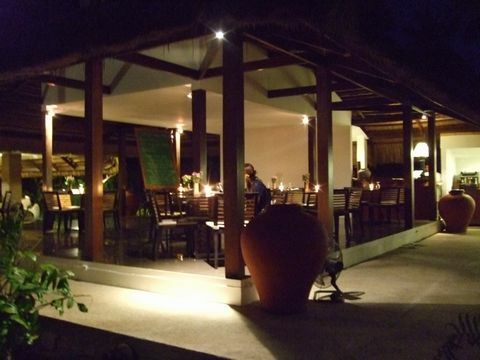 ANANYANA Beach Resort is really good place for relax and dinving, so I can recommend you to come here for vacation with your partner, family and frieds. ANANYANA makes you happy all the time. If you wanna know about ANANYANA more, try to visit ANANYANA's website. Please click here to ANANYANA WEBSITE. You'll know something good through their website. 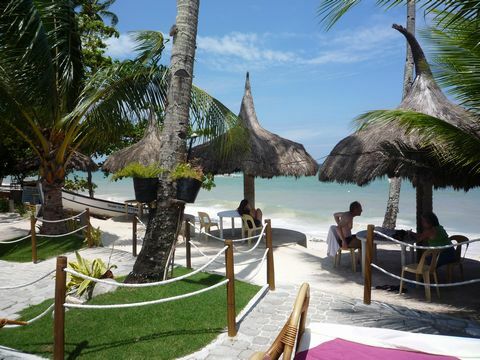 ANANYANA BEACH RESORT, Panglao Island(Bohol), Philippines. 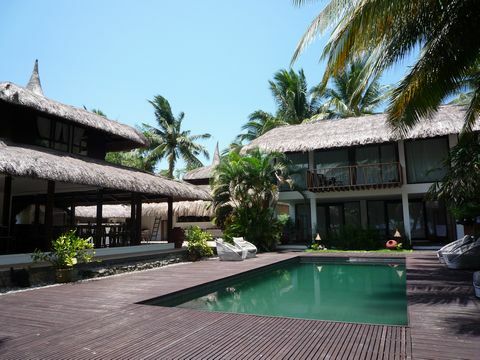 This is ANANYANA BEACH RESORT & SPA which is located west of Panglao Island(Bohol), a famous diving place, with direct access to the pure white sands of the three kilometer Dolijo Beach. 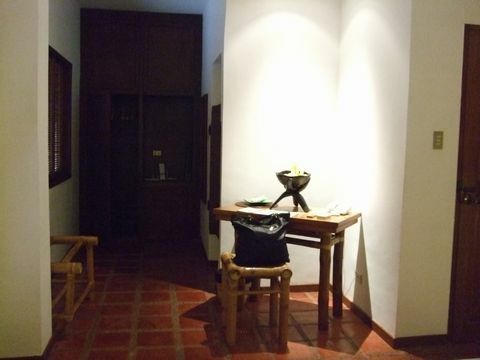 This picture is about ANANYANA's front-desk where you need to wait for your check-in with welcome drink. After few minutes, ANANYANA's staff take you tou your room. This is about in front of Delux room. I stayed there with my partner for a night. Actually I was satisfied with ANANYANA's facility this time. I mean if you have your laptop, you can cennect to the internet through wireless function. Of course, your laptop need to have wireless function. 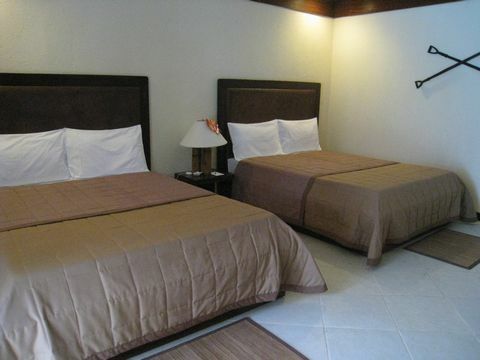 This is inside the room which you can relax with your family, partner and friends. This room is good for 2 because of Delux room. 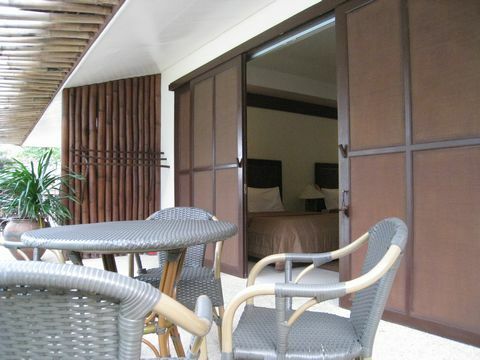 If you wanna saty in ANANYANA BEACH RESORT, it's much better to reserve Family room. This picture is also inside Delux room which doesn't have enough electrical appliances, like TV, but here is beautiful Island, so you don't need to watch TV program. 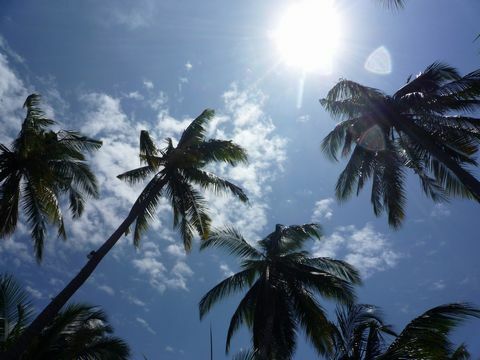 Try to go to pure sands, blue sky and transparent sea. 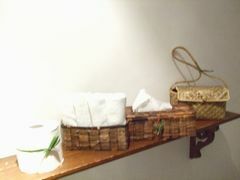 These are about amenity goods and sink. You don't need to bring your shampoo, body shmpoo and conditioner, but it' much better to bring you shampoo sets if you're women. 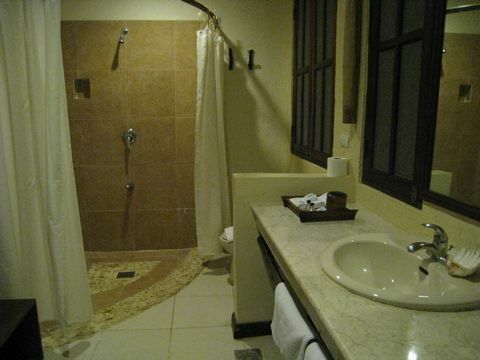 This is Shower room which you're able to have hot shower. 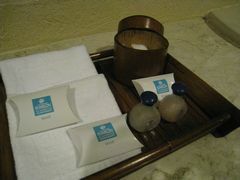 ANANYANA's facilty is good compared to another Hotel, as a result I was really satisfied with everything. This Beach Resort "ANANYANA" was really good for me because of their staff and facilities, services and everything, so Ican recommed you to visit ANANYANA for relax and spend omfortablly with your friends, partner and family. 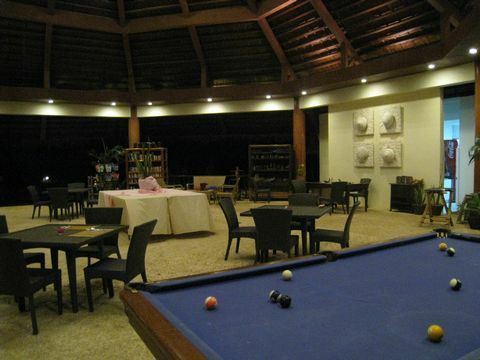 Actually I stayed in Bohol Beach Club before, but it was not so good for me because of facility.